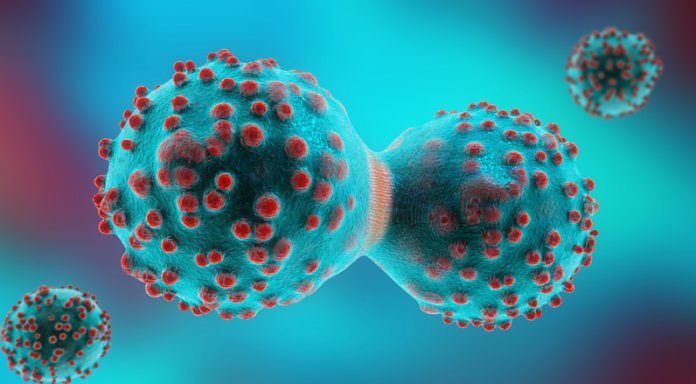 Scientists have discovered a link between certain changes in the genome of a tumor and increased chances of death across multiple types of cancer. Their study (“Tumor copy number alteration burden is a pan-cancer prognostic factor associated with recurrence and death”), published in eLife, suggests the percentage of a tumor's genome with copy number alteration (CNA) is associated with mortality in a range of cancers. CNA refers to the fact that a genome can contain different numbers of copies of the same gene, which can be altered in cancer, leading to the tumor having more or less copies of that same gene. “As clinical genomic analysis of tumors and tumor biopsies becomes more widespread, there is a growing need to understand the prognostic factors captured by genomic features including CNA,” said lead author Haley Hieronymus, Ph.D., senior research scientist in the lab of Charles Sawyers, M.D., senior author and chair of the human oncology and pathogenesis program at Memorial Sloan Kettering Cancer Center. “Many specific genes altered by CNA have been associated with cancer outcomes; however, the relationship between the outcome and the overall level of CNA harbored by a tumor is less well studied. To do this, Hieronymus and her team began by examining the genomic CNA landscape of prostate cancer in more than a hundred diagnostic biopsy specimens from a prostate cancer research group. This group consisted of patients with localized prostate cancer who were not treated with surgery or radiation within six months of diagnosis. “Our initial analysis revealed that tumor CNA burden is associated with cancer-specific death, independent of standard clinical predictors,” Hieronymus explained. The team next studied patient groups with primary breast, endometrial, kidney, thyroid, and colorectal cancer, in addition to prostate cancer. In what they called an “unanticipated outcome” of their work, they discovered that tumor CNA burden is also significantly associated with disease-free and overall survival in these cancer types, with varying degrees of association. Finally, they studied the clinical feasibility of measuring tumor CNA burden using the FDA-cleared MSK-IMPACT next-generation sequencing assay. This technique confirmed that tumor CNA burden is associated with overall and disease-specific survival in both primary and metastatic tumors, and across different cancer types.